NEXT | It's over 7,000. The 9th Annual Running of the Gnomes is this weekend! Q4TQ: So I finished up Zandalar Forever, and I’m a little confused. So after destroying the final seal, Mythrax just grabbed Zul’s body and went back to Uldir? And we let him? Feels odd. I’m not 100% on what you think we could have done to stop him from grabbing Zul’s body considering we were remarkably ineffective in terms of stopping him from blowing up the great seal in the first place. He’s capable of fighting three Loa at once and still getting past them to blow up the seal, I think he’s capable of grabbing one dead guy and departing. In my opinion, Blizzard is working from a bad conclusion and not really understanding that their conclusion is a flawed premise — they’re assuming that tanks want the gameplay element of managing threat back. The fact is, holding threat has never been exciting, and I for one refuse to go back to the days of fighting my group. Because that’s what having to strain to hold aggro feels like — it feels like you’re in competition with the party to hold mobs, not at all like you’re fighting the mobs themselves. I’m not surprised a lot of tanks are upset that it suddenly feels like you’re having to strain to hold aggro and you have to pay attention to positioning and you have to manage your cooldowns and you need to make sure the DPS can hit the things you’re tanking while staying out of anything that’ll hurt you or them. Tanking is inherently stressful, and the threat changes just make it more so. A lot of people who took up tanking in the Active Mitigation era have never had to cope with threat mechanics like these, and it’s not surprising they’re upset by them. As someone who tanked in Vanilla, BC, Wrath and Cataclysm I remember how quickly you could feel like you were at war with your own group, and I never wanted that sensation back. The literal only reason I do Islands is for the pets, toys, mounts and mogs. I could not care less about the Azerite. Marry the collections to the collection of Azerite or let us get the items another way than very specifically not doing Islands the way they are intended. Speaking as someone who does Expeditions entirely for those same rewards, I don’t think I agree with you. The idea that they are aimed primarily at Azerite for the Heart of Azeroth doesn’t preclude (or at least it shouldn’t) the potential for an alternative reward for the activity any more than running dungeons should suddenly stop giving any Azerite even though that’s not the primary reason to run dungeons. Now, do I wish they were a lot less stingy with their rewards? Absolutely. I want to get more transmog gear out of these things. But taking those rewards away from Island Expeditions (where they thematically work with the invading groups) and putting them elsewhere seems counterproductive to me. I just think they should use the Warfront model of always getting something at the end of an Expedition. Ion dropping some unpopular “no really, commit to your main spec” type answers in the Q+A… Oh my. But man… torches and pitchforks from some people haha! For me, the weird thing is how Blizzard has really changed direction on the design they were promoting from Mists and Warlords, especially the latter expansion, where they changed itemization so that gear wasn’t so locked to a specific role — for example, making plate drops work for Holydins as well as everyone else, or putting agi and int on leather so Rogues and Druids and Monks could all use it. There was a movement towards not making people have to collect whole sets of alternative gear — you’d maybe swap some rings and trinkets and you’d be good to go. Now, with Azerite, we’re right back into the ‘tank set’ and ‘healing set’ mindset and it’s baffling. Sometimes I wonder if Blizzard is punishing us for the whole ‘WoW Classic’ thing by actually bringing back all the crap I hated in classic WoW. I realize this is unlikely. Still, I am committing to my DPS spec on my main. I won’t tank on her, to the point where I’ll actually swap to my DK if tanking is required. Q4tQ: do other columnists like answering “2 Boss Enter” questions? I can only speak for myself, but I personally haven’t really seen any recently. I’d answer one if I felt like I could do an entertaining job of it. Personally for me, the expansion feels underwhelming because the AvsH story is underwhelming. See, we didn’t have all the class stuff in MoP and that story didn’t feel underwhelming. We didn’t have it in Wrath, or in Cata either. And I enjoyed both those expansions (and I know I’m in the minority for Cata, but I liked it as an expansion). But I’m uninterested in an AvsH story and nothing that they’ve done in the story has made me feel invested in it. And looking at 8.1 spoilers, nothing they are going to do is going to make me feel invested in this war. At this point, tbh, I don’t think it’s going to be possible to save it for me (meaning I’m never going to be invested in this story), so I’ve just been spending my time not logging in except to really quick clear out Proudmoore WQs so I can be ready to unlock Kul Tirans. I feel like the risk they took was that there are always going to be players who feel as you do, and for whom this expansion is going to lack because it’s so focused on a conflict they don’t want. And, to a degree, I’m one of them — I’m an Alliance player now because I feel like the expansion has forced me to choose and I can’t enjoy playing as a Horde character. I enjoy Tauren and their storylines, but literally every time I log on my Horde character I remember Teldrassil and that I did that — I’m personally responsible for the deaths of thousands of innocent civilians, who were not a threat and whose deaths didn’t even achieve an objective. That ruins it for me. I have a Highmountain Tauren I was looking forward to playing this expansion, but it is just too much for me. There’s no way around it. This is an entirely personal opinion, mind you. If I’d spent years maining a Horde character and wanted to keep playing as Horde, I’d be horribly conflicted right now. I feel for players in that situation, and I feel like if you can find a way around it (or you enjoy playing as the bad guys or whatever) that’s great. But for me, this expansion made me say “Yeah, I’m Alliance” once and for all. And I don’t like that — I’d rather be able to play and enjoy my Horde characters. Okay, that’s the Queue for this week. 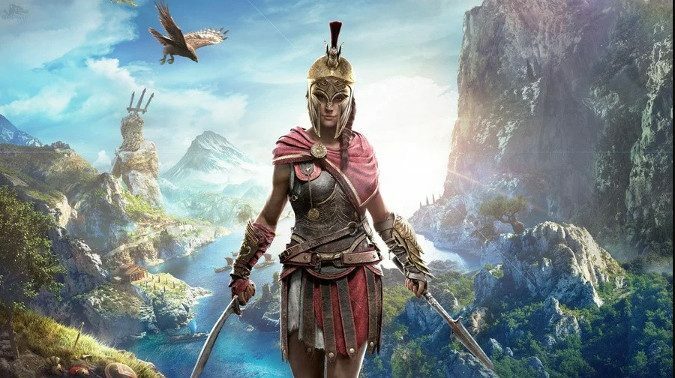 Seriously, if you have some gaming time free, go play Assassin’s Creed Odyssey. I hate stealth based games, I’ve never played Assassin’s Creed before, and I’m absolutely loving this game. I’m even rolling up a Rogue in WoW entirely because of this game.